The above links shows how to make “mini” lotus flowers, with hanging strings, beads, and bookmark. 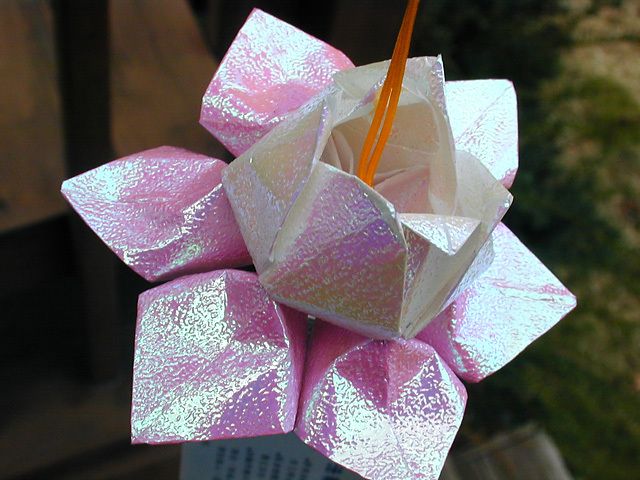 Please note that mini lotus flowers are more difficult and time-consuming to make, and in addition the materials can be difficult to find. 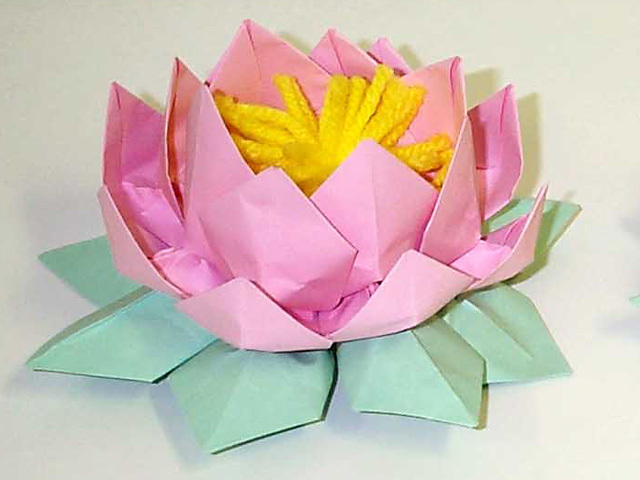 If you are new at lotus flower folding you should start with the “regular” lotus flowers.